A total of 53 pies were auctioned off at Castle Country Radio in Price, Utah, to raise funds to buy gas cards for cancer patients who must travel for treatment in Provo, 75 miles away. 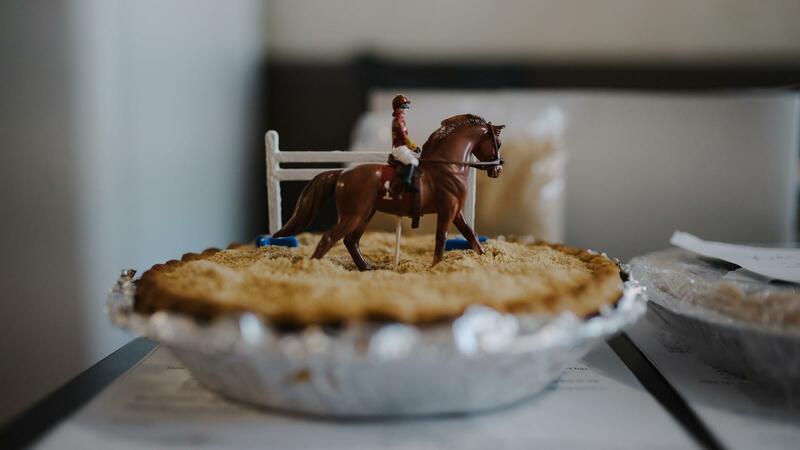 PRICE, UTAH — On a scorching day in mid-June, KOAL Castle Country Radio host Dave Hocanson was taking a break from airing conservative talk show hosts Rush Limbaugh and Sean Hannity to promote a $175 pie. "Sarah Leautaud has the high bid on it," he said. "One last time. It is a peach-raspberry in cast-iron skillet with a gift basket from Price Floral." On most days in this rural Utah mining town gone bust, blocked off by rugged shale buttes, the thought that anybody would pay more than $10 for a pie would be laughable. But the phones rang steadily inside the sand-colored shotgun building. A donated pie at the Castle Country Radio pie auction. The annual fundraiser hosted by the conservative community radio station doesn't collect money for the local Little League team or the Kiwanis Club. 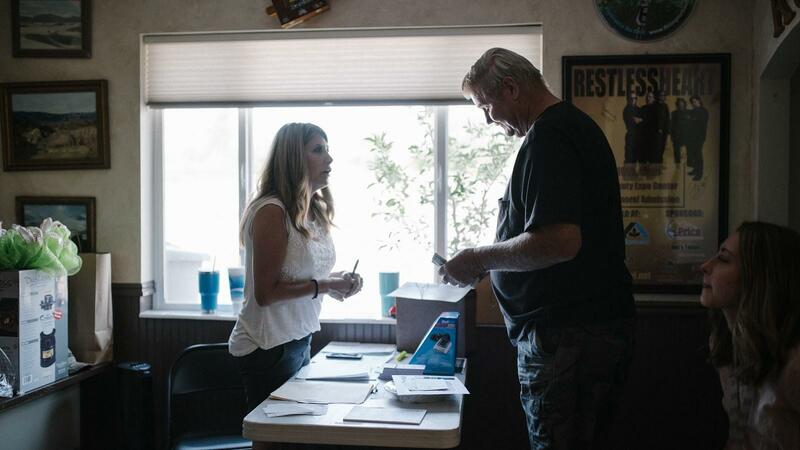 The 11-person staff and assorted volunteers at KOAL had more pressing needs: helping local cancer patients by providing them with gas cards for the 75-mile drive from Price to Provo for their daily radiation and chemotherapy treatments. "We've referred to it as the C-word all day long, but everybody knows someone that's had to deal with this," Hocanson pitched. "We're getting there, folks. Another $25 bucks — we're at two gas cards." Cinnamon apple. Pecan. The perennial "razzleberry" from Carbon County representative Christine Watkins. 53 pies had been donated. And 53 will be sold. When the auction ends and winning bids are tallied, the money raised will pay for $100 gas cards — given one per patient — for those suffering from breast, prostate and skin cancer, among other malignancies. The fundraiser is a testament to the tight-knit community in this hardscrabble town. That it's even necessary embodies the challenge of getting specialized health care in rural Utah. 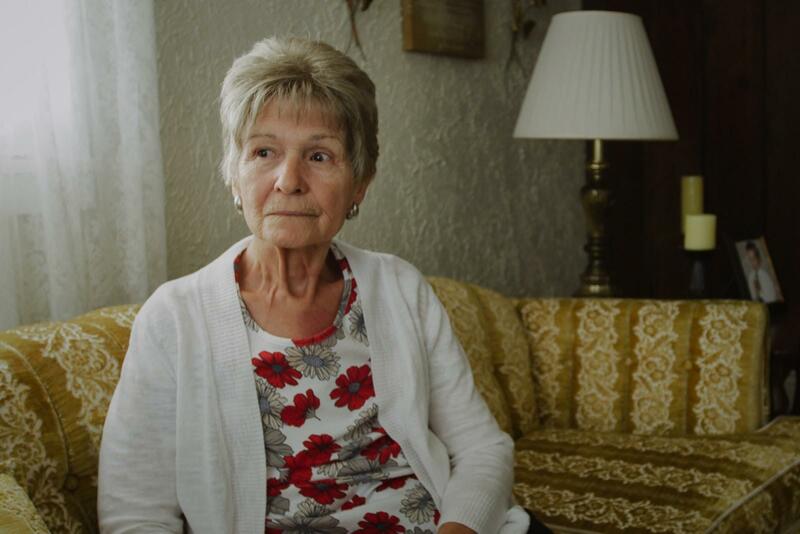 Over the last few months, longtime Price resident Linda Crowe, 75, used up her gas card after just three trips to Provo to receive treatment. A scar the width of her chest is evidence of a double mastectomy she had in March 2018 to counter her breast cancer. Linda Crowe, 75, a longtime resident of Price, received a gas card to help pay for her transportation for chemotherapy and radiation in Provo, Utah. For her regular doses of chemotherapy and radiation, Crowe traveled to Revere Health in Provo nearly every day for the past five weeks. Crowe calls herself a 'tough old lady' but said getting chemotherapy and driving for three hours roundtrip is hard. "When you're sick and you have got to have all the tests and surgeries and everything, it is far away," she said. Cancer is the second leading cause of death in Utah and the U.S. overall. Rates are higher in rural towns. This part of southeastern Utah has significantly higher death rates from cancer than the rest of the state, according to the Utah Department of Health, which does not attribute that to the region's coal mining history. Rural residents tend to smoke more and are more likely to be overweight, among other contributing factors, according to the Centers for Disease Control and Prevention. Towns like Price also have fewer options for pre-cancer screenings. Lack of transportation to doctors' offices and other medical facilities is a major obstacle to getting treatment. Price has a hospital, but it doesn't offer specialty cancer care. Many people in large, rural states face similar obstacles. "When you consider the size of a population that would have to support one specialty type, rural and frontier communities just don't have the population," said Mary Sheridan, the head of the Bureau of Rural Health and Primary Care for Idaho, a state that also has treatment gaps. The annual pie auction is one way residents here have pulled together for the past eight years to deal with this barrier to health care. Ann Andersen is the office manager at KOAL. Her father-in-law — the past station owner — died from prostate cancer. She and her husband, Paul, decided to host the auction to support other residents battling the disease. "It's heartbreaking to see in the paper an obituary of someone that I sent a fuel card to even a month ago," said Andersen, whose husband is now the third generation to own the radio station. "We all know each other here. We're all touched by it." That's why Bill and Toni Thayne cook a pie every year. This year, they brought two: a peach-raspberry and a lemon pie that they baked the night before. Bill Thayne recalled growing up in Price when they only had family doctors. Today, there's an ear, nose and throat specialist in town, he said, but not much else. Ann Andersen, KOAL office manager, spoke with a bidder during the pie auction. "As far as a heart doctor and a neurologist, and all of those other specialty doctors, we don't have that," he said. "You just have to go over the mountain." While pies were being arranged at KOAL for the auction, Linda Crowe was getting in a white Chrysler minivan for her daily trip to Provo. Behind the wheel was Larry Heaton, a volunteer driver and retired social worker who regularly ferries cancer patients to and from Provo. Started by a local nonprofit, "PERKIE Travels " is another service that has received funding from the auction. The shuttle transports patients from Carbon, Emery and Grand counties over the sagebrush and rust-colored canyons to get treatment. Heaton had not seen Crowe since she visited the "wig closet" at the hospital and returned with a grayish-blonde head of hair. "I wondered if you got your wig all styled," he said. "It looks really good!" "I did. I'm stylin' now!" Crowe said. "Got hair!" Heaton knows firsthand the toll that cancer takes on his passengers. He's what's known in the area as a 'downwinder.' Growing up in northern Arizona in the 1950s, he was exposed to radioactive fallout from nuclear bomb explosions carried by the wind from Nevada test sites. He's had skin, prostate and thyroid cancer. During the 1 ½ hour-long drive to Provo, Crowe described the chemotherapy treatment she had received. How it had caused her hair and fingernails to fall out. How it killed everything in her body. Heaton, as much therapist for patients as chauffeur for the drive, listened intently, having only used radiation to kill his cancer. "You go out, and there you are," she said. "You have no eyelashes. No nothing. No eyebrows. You've got those scarves on. And people stare at you, you know? And they'll say, 'Are you okay?'" "You want to say, 'Well, take a look at me!'" Crowe said. "Yeah, what does it look like?" he said, incredulously. Once the shuttle arrived in Provo, the hospital visit didn't last long. Inside, she laid under a radiation machine that lowered down close to her chest. She said it gave off a hot feeling. Nature photos were mounted on the ceiling above to provide distraction. Her treatment took 20 minutes. When it was over Crowe was in good spirits. She had only a week of radiation to go. "Let's see if we can get out of this city," Heaton said as they pulled out of the hospital parking lot, headed south towards Price. A little before noon he pulled the van to a stop next to Crowe's car, back where they started. "Probably won't drive again," Heaton said. "Probably won't see you unless something bad happens," Crowe said, "And I'm not expecting that." He wished her a happy graduation, and said goodbye. By the end of the day, the staff and volunteers at Castle Country Radio had auctioned off 53 pies, along with football tickets and gift certificates to the local auto body shop and hardware store. All together, they raised a record $18,000, enough money to pay for 180 gas cards. "Unfortunately, it's sad that a lot of people are calling that I've never dealt with before," Andersen said, suggesting that new cancer patients in Price are being diagnosed all the time. [It's] good that they're getting diagnosed, but it's hard to hear that it's new people, that it's still going rampant out there." Watch the RadioWest Film on how the Price community is using pies to help patients get cancer treatment. A new report out this week measures the health of every county in the nation. Overall, researchers said Utah compares well, but at the county level, there are health disparities. Representatives from the U.S. Department of Agriculture met with a dozen groups affected by the state’s opioid epidemic on Wednesday. They were looking for solutions to the drug problem in rural Utah.